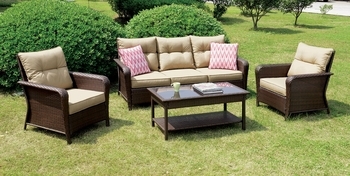 On a beautiful sunny day, what better way to enjoy the warm breeze than to relax upon this outdoor lounge set? 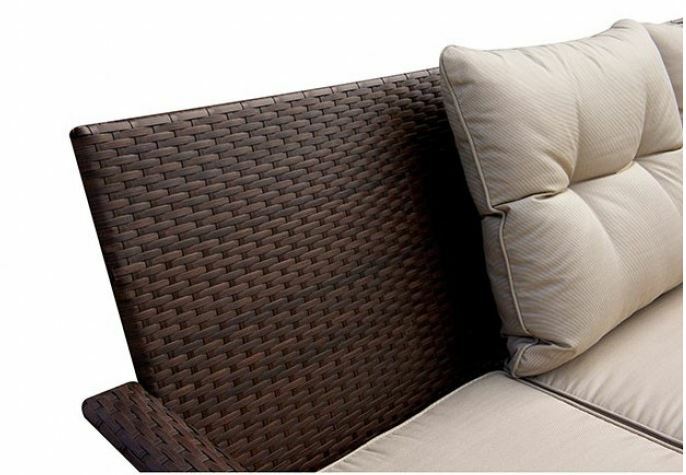 Removable button tufted cushions and fun chevron printed throw pillows make this set the perfect addition to your backyard. Also included is the convenient coffee table, which offers room for magazine storage and drinks.